On July 2, 2015, Richard and Judy Smithson will be married for 49 years. They took their first pastorate in the spring of 1969 at Marshall, Arkansas. Richard was 20 years old and Judy was 17. Now, 46 years later, they pastor the Church of God Worship Center in Bald Knob, Arkansas, and this May, they will have pastored this church for 13 years. Their pastorates have taken them through Arkansas, into Kansas, Illinois, and Wisconsin. Their lives have been devoted to following the Will of God. Pastor Richard and Judy have striven to be the best they could be. Their personal devotion takes them to prayer and the study of God's Word, as well as forwarding their education. 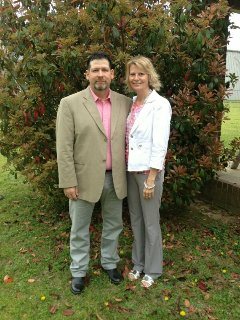 Judy received her GED in 1976, and in 1985, Judy and Richard received their AA degrees from EACC in Forrest City, Arkansas while they were pastoring at Earle. They moved to Coffeyville, Kansas in 1985 to pastor the Elmwood Church, and while at Coffeyville, Judy graduated from PSU, Pittsburg, Kansas with a Bachelor of Science in Education. In 1990, they moved to pastor the church in Pittsburg, Kansas, and while at Pittsburg, Richard received a Bachelor of Arts and Master of Arts in History. They strive for excellence in their relationship with God, in their relationship with their family, and in their relationship with the church and community. This striving for excellence keeps them praying, studying, and examing their lives. Pastor Richard and Judy are blessed with five children, fifteen grandchildren, and thirteen great grandchildren. Furthermore, their children and many of their grandchildren have made a commitment to following God, with some of them becoming teachers, singers, tithers, givers, and pastors. Pastor Richard says, "Thank God for the riches of His blessings on those who choose to follow Him." Larry Smithson married Betty, the love of his life, in 1970. From that union they have 2 sons, Michael and Justin. Michael and his wife Theresa have been blessed with 4 children and a grandchild of their own. Justin and his wife Mandy have been blessed with 3 children. 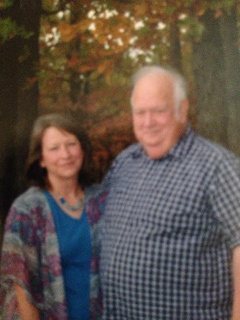 Larry and Betty have served in ministry since 1973, 30 years in the role of pastor; served a number of years on the Arkansas State Youth Board, Evangelism Board, State Council and Ministerial Internship Program Coordinator for the Church of God in Arkansas. In the community, Larry and Betty volunteered for the ambulance service.